Workhouse Walks: health, punishment or performance? Richard White from Bath Spa University writes about using Know Your Place in recent research and planning for an upcoming series of events walking the historic landscape. 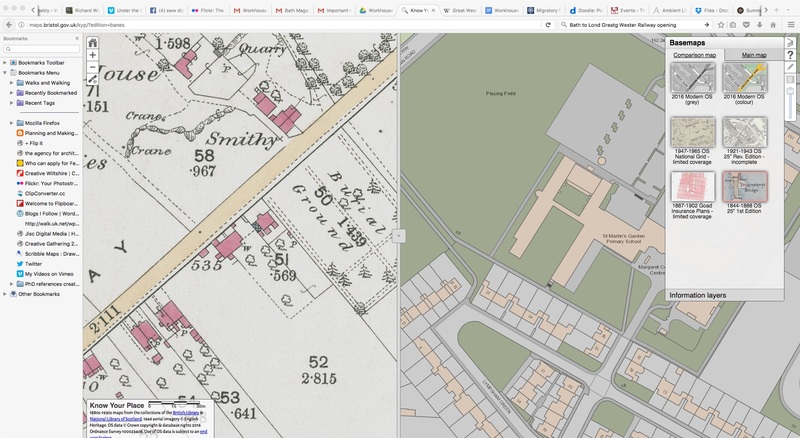 On 23 July 1856, around 60 boys from the Bath Workhouse, led by their schoolmaster Mr William Winkworth, completed a 16 mile walk from the Workhouse in Odd Down around the northern fringes of Bath. Through the summer of 2017 walkers will be retracing the boys’ steps in free walks devised by walking artist/researcher Richard White and writer/historian John Payne. The walks are associated with the exhibition researched by John Payne: The Poor Man’s Friend? : Bath and the Workhouse 1836-2016 at the Museum of Bath at Work, Thursday 18 May and to October 1st. A number of the walks begin or finish at the Museum. The forbidding structure of Bath Union Workhouse, Odd Down, Bath is still standing. In his research on the evolution of the Workhouse to its present day status as St Martin’s Hospital, John Payne came across the schoolmaster’s diary for 1856. William Winkworth led the school children on many local walks though that year, but by far the longest was the epic 16 miles with the boys on foot from Odd Down via Weston, Batheaston and Bathford across the River Avon and back via Bathampton. It was certainly an exhausting walk… but for what purpose? Workhouse Walks are based on this epic day out. In planning the routes Richard has made extensive use of maps and tools on Know Your Place West. This has enabled him to check tracks and trace paths and landscape features. The 2017 walks do not follow the exact 1856 route partly because there is so little information and partly because the more direct paths Winkworth probably took are now busy highways. The idea is to enable walkers to share something of the experience the boys had, and on the July 2017 walk to share something of the physical exhaustion. Two significant features emerge from the use of KYP. Firstly, at the beginning of the walk Richard and John wanted to pay respects to those who died in the workhouse. 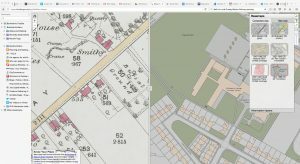 John’s research showed that over 3,000 people were buried in unmarked graves in a nearby field, this burial ground does not show on contemporary maps but is clearly marked on the 1844-88 Ordnance Survey. Using the slider the old WorkHouse Burial Ground is now located. For the end of the walk, Richard was trying to work out how they got across the River Avon. 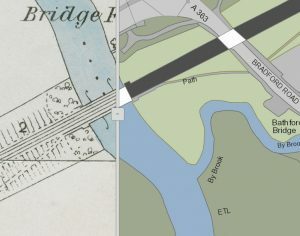 On the modern OS map a footbridge is shown across the river alongside the railway bridge, again viewing the old maps confirmed this was a possible crossing point in 1856. A spectacular one then especially if a train passed, as in 1856 the railway through Box tunnel to London had only been open just over 10 years. The first walk takes place on Wednesday 31 May from the former workhouse building to the exhibition. Register here. The walks take place monthly on a Wednesday, the first in May coinciding with the Fringe Arts Bath walking arts theme, ‘Embodied Cartography’ and the last in September linking up with the new Bath Walking Festival. These are not formal history walks, more a long conversation over 5 months about poverty, welfare, well being, respect for the dead and responsibility for the living. 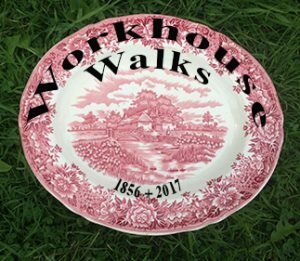 Richard and John hope that the walks will raise awareness of the Workhouse burial ground, generate a remembering of those who died in poverty amidst the wealth of the City and whose bodies still lie unmarked in a field with no memorial. Associate Lecturer, Heritage; at the College of the Liberal Arts, Bath Spa University.